On 13 July 2018, the European defence giant Leonardo officially unveiled the ‘Grifo-E’, the latest entry to the company’s active electronically-scanned array (AESA) radar portfolio. According to Leonardo, the Grifo-E is intended to “offer a system with a variety of advanced new modes that comes in a flexible, cost-effective package.” With a focused aim of securing orders in the lightweight fighter and/or advanced trainer markets, Leonardo aims to qualify the Grifo-E in 2019 and deliver the first radar sets in 2020. However, the company is ready to take orders for the Grifo-E right away. Like its other AESA radars – i.e. the Vixen and Seaspray-series – the Grifo-E leverages Leonardo transceiver module (TRM) technology wherein many (i.e. “hundreds”) of TRMs are used to steer electronic beams as well as provide improved electronic counter-countermeasures (ECCM) or resistance to jamming. However, the main objective of the Grifo-E – much like the mechanically-steered Grifo radars before it – is to be a “readily exportable” solution by being low-cost and easy to integrate to the smallest fighters. Although the Grifo-E hearkens to the low-cost, exportable characteristics of its mechanically-steered Grifo M and Grifo-7 predecessors, it is a different radar family. 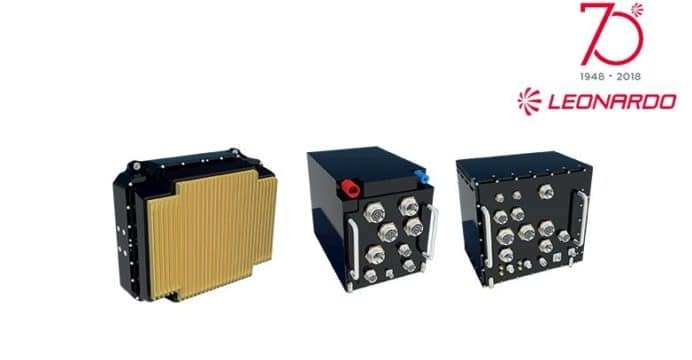 Its array, which comprises of an as-of-yet verified number of TRMs, is fixed and promises to offer both the electronic-scanning and ECCM qualities of other AESA radars as well as the robust capability sets, such as synthetic aperture radar (SAR), of the preceding Grifo-346. It is not known how much the Grifo-E costs, though it is certain to be less than the Vixen-1000. Undoubtedly, Leonardo is taking aim at the lightweight fighter and advanced trainer market, notably the growing number of platforms – such as the Aero Vodochody L-259, Turkish Aerospace Hürjet and, not the least, Leonardo’s own M-346 Master – entering the scene. However, a secondary market could be that of Eastern lightweight fighter designs, such as the JF-17 Block-III. While it appears that Pakistan Air Force (PAF) has opted to configure its own forthcoming Block-III with the Nanjing Research Institute of Electronic Technology (NRIET) KLJ-7A, the Grifo-E could be an attractive alternative for prospective export customers, notably those in Southeast Asia and Latin America.